President Donald Trump and former president Barack Obama have very different diet and exercise routines. Trump frequently eats fast food and his primary form of exercise is playing golf. 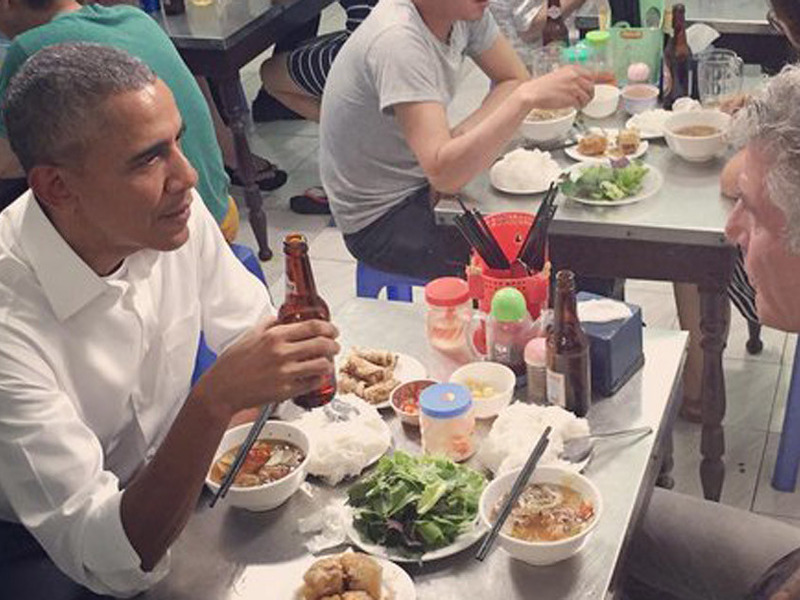 In contrast, Obama was generally known to eat healthy and woke up before 5 a.m. to work out. Below are some of the photos of the two leaders that have raised questions about their contrasting diet and exercise styles. Critics of President Donald Trump often compare him to his predecessor, Barack Obama. Although those discussions usually involve politics, Trump gets plenty of criticism about his diet and exercise habits, too. According to reports from the past few years, Trump frequently eats fast food, and the only exercise he gets is on the golf course. 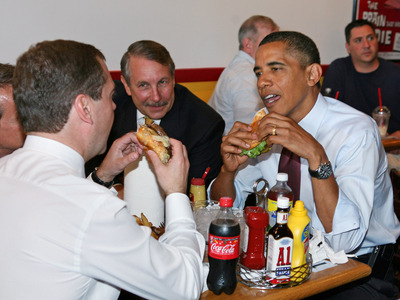 Obama ate fast food from time to time, but by most accounts, his diet and exercise regimens were different from Trump’s. While we can’t truly know what goes on behind closed doors, people have pointed to various photos of the two commanders in chief to draw conclusions about their diet and exercise habits. 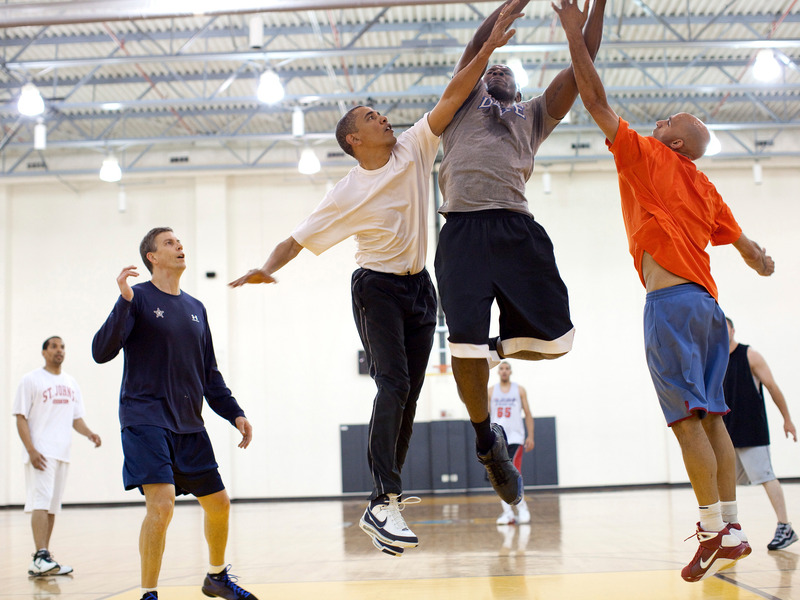 Take a look at the photos below and see how Trump’s diet and exercise stack up against Obama’s. Trump’s affinity for fast food is well-documented — he frequently stopped at fast food restaurants on the campaign trail. 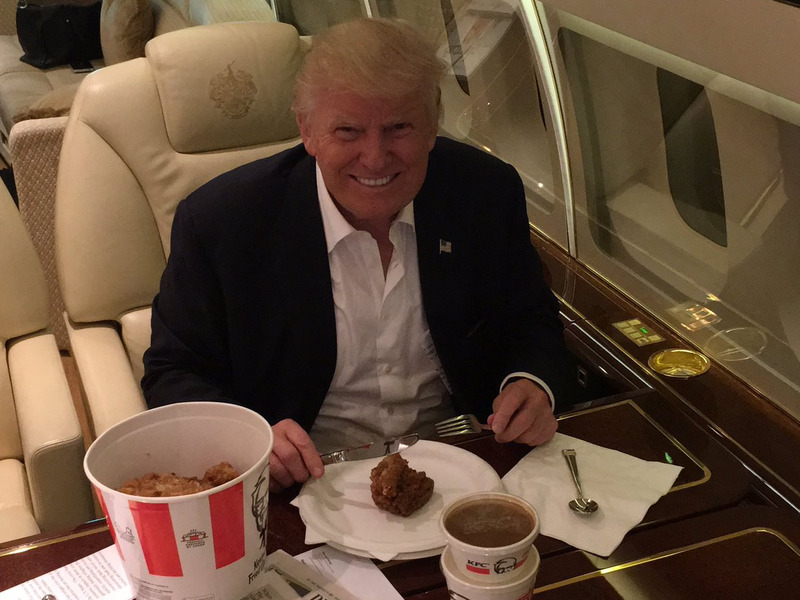 During the campaign, Trump often ate fast food from restaurants like Domino’s, KFC, and McDonald’s aboard his private jet. 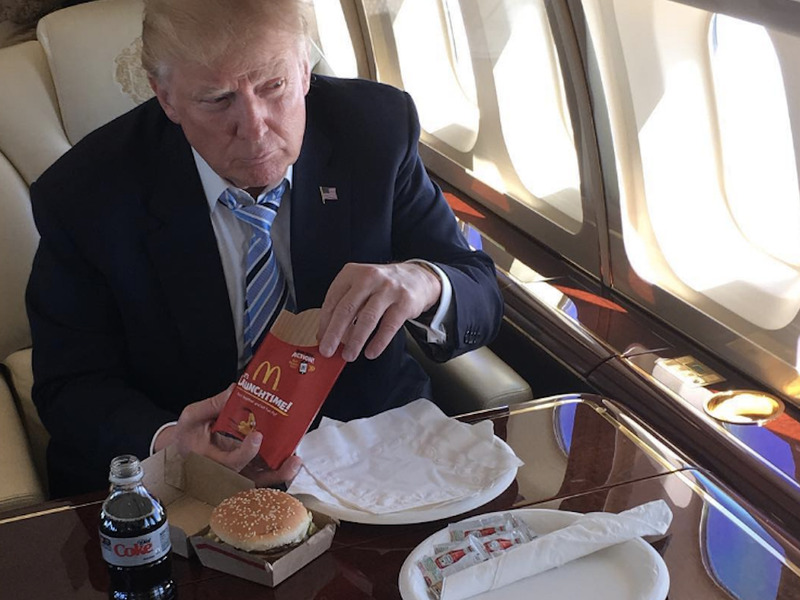 Two of his campaign aides described Trump’s typical McDonald’s order: two Big Macs, two Filet-o-Fish sandwiches, and a large chocolate shake. Barack Obama also indulged in cheeseburgers — he would occasionally pop into local diners in Washington, DC, to grab one. However, he’s also on record saying his favourite food is broccoli, and his White House supported Michelle Obama’s healthy-eating initiative. Before becoming president, Trump regularly ate at the Trump Tower Grill in Manhattan. 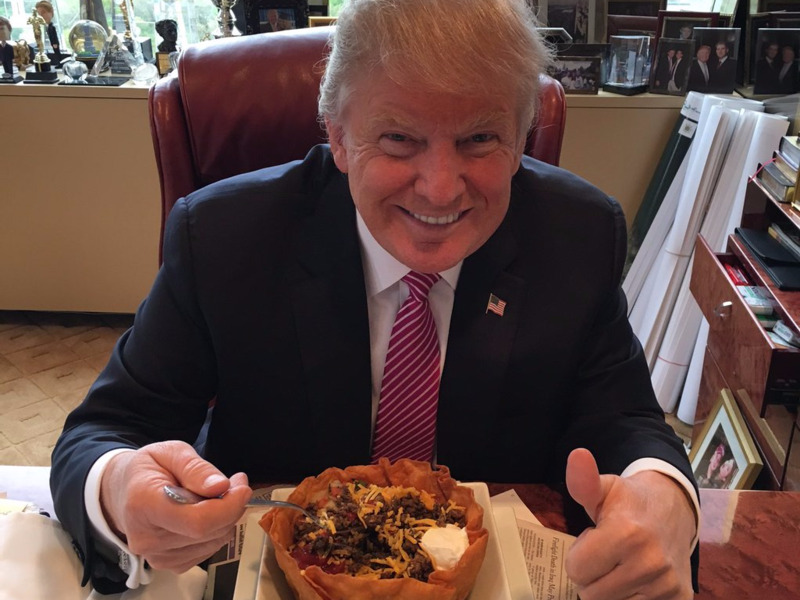 His go-to meal was steak prepared well-done with ketchup, but in one infamous photo from 2016, he opted for the taco bowl. 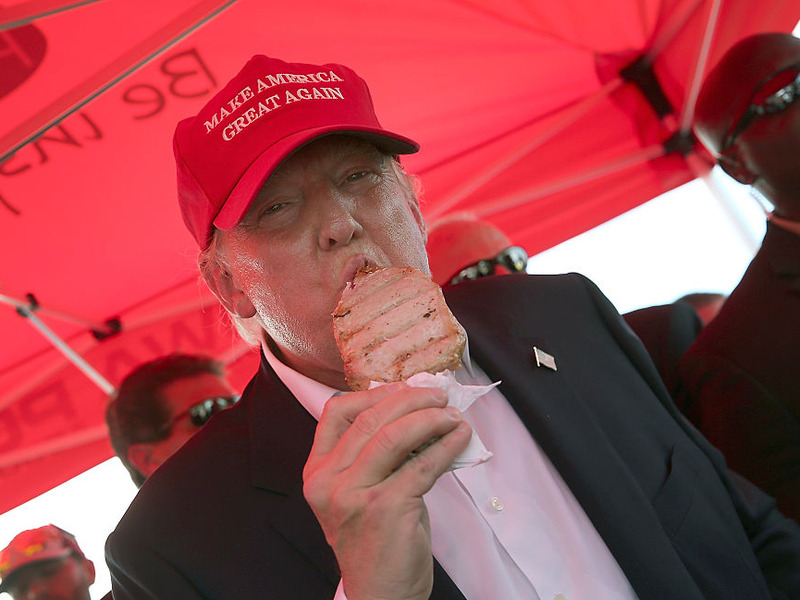 His diet on the road wasn’t so different — a photo that circulated in 2015 showed Trump chowing down on a pork chop on a stick at the Iowa State Fair. 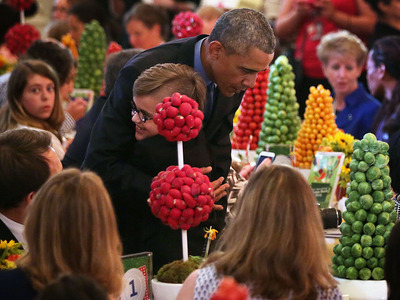 Obama was frequently seen incorporating vegetables into his diet. 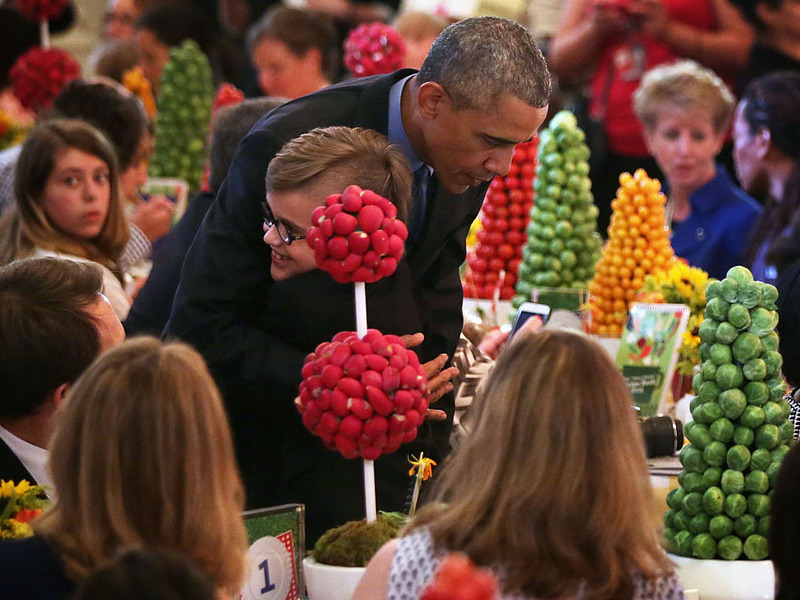 And he promoted nutritious cooking at White House events, like the Healthy Lunchtime Challenge & Kids’ State Dinner in 2013. Obama was occasionally seen enjoying a beer with his meal. 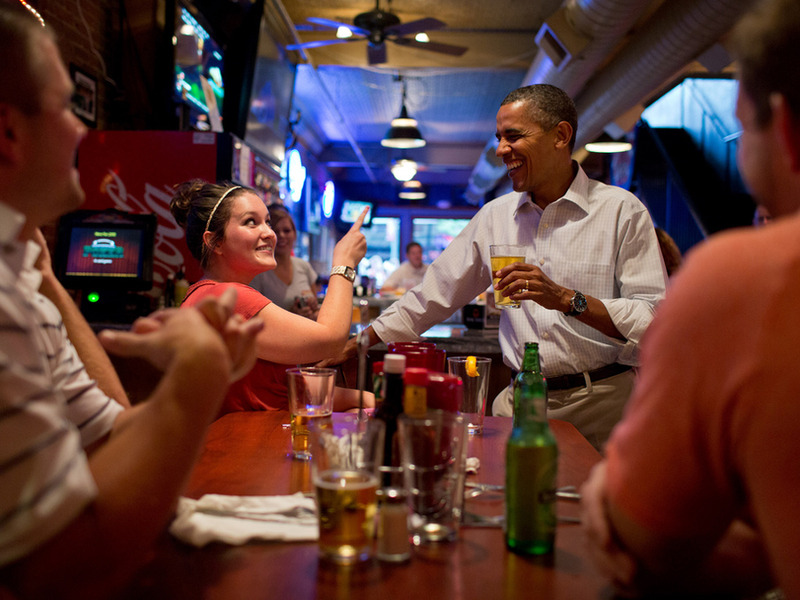 Meanwhile, Trump has said he’s never had a drink of alcohol in his life. 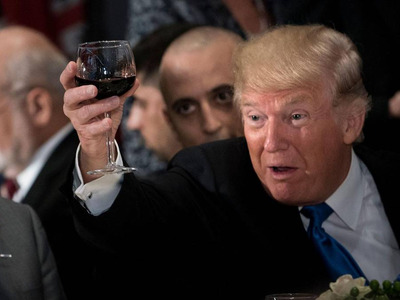 Although Trump did create a small stir when he was photographed appearing to drink from a glass of wine at a United Nations luncheon. As for exercise, Trump’s primary form of physical recreation is golf. He’s made 100 visits to his golf properties since taking office in January 2017. 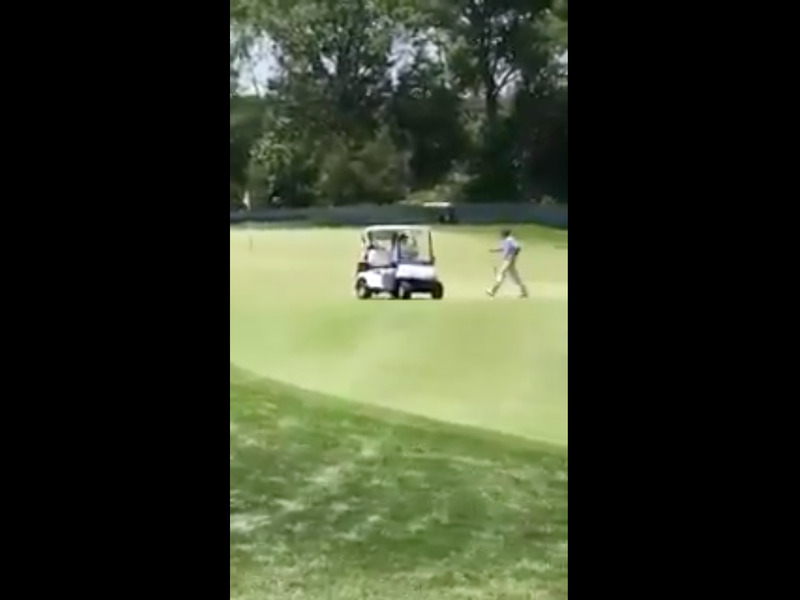 In one memorable instance, he was filmed driving his golf cart onto the green — a cardinal sin of golf etiquette. The moment gave ammunition to critics who said Trump doesn’t exercise enough. Obama was no stranger to the golf course. 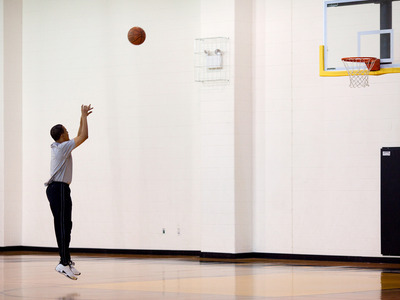 He played 333 times in his eight years in office, or about 40 times a year. 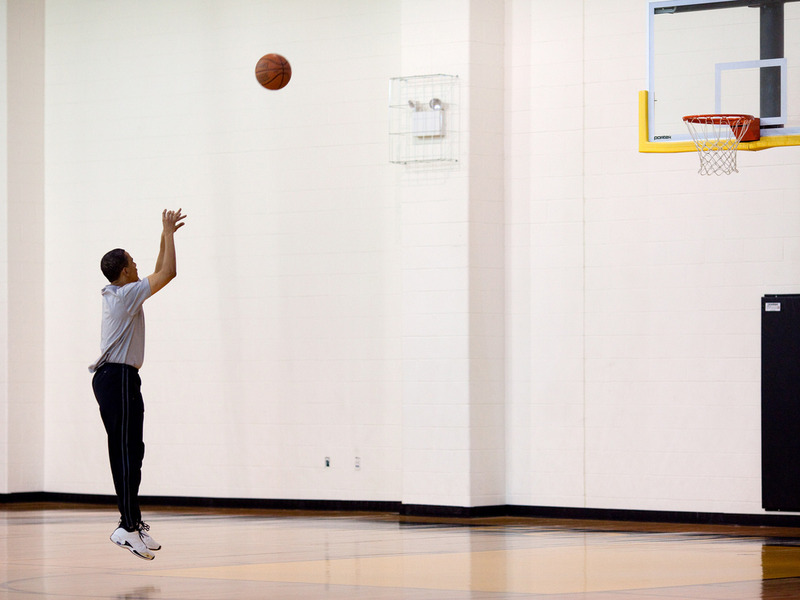 But Obama’s favourite sport is basketball. He played frequently with White House officials and staffers, and especially with his personal assistant Reggie Love. 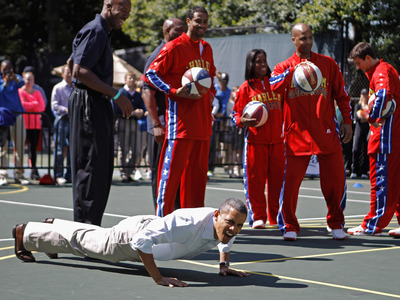 Love said Obama woke up before 5 a.m. most mornings to exercise. Trump typically spends his first few hours of the day watching cable news. Obama was regularly photographed being physically active. But Trump may be changing his ways. Last month, people close to Trump said the president has started to eat more salad, fish, and soup, and less red meat, according to a Bloomberg report.